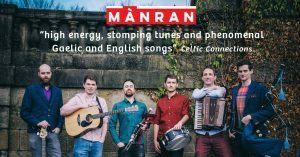 Good Tunes, Magda Community Artz and Band Aide Management present Mànran, on tour from Scotland in an intimate one-off concert and workshop in Brisbane, 11 April 2019. Click for more details. Send us an email if you would like to know about any forthcoming sessions!